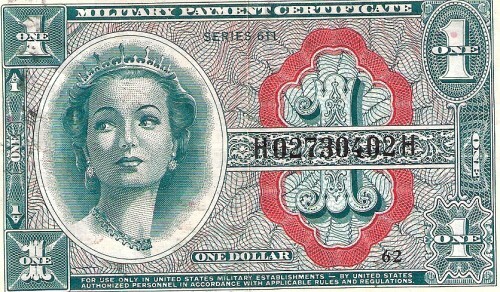 This banknote is a United States $1 Military Payment Certificate Series 611 issued 1964. This is a high quality example of this type of MPC issued during the early stages of the Vietnam War. One note is available. Please contact us to discuss the purchase of this note or to make an offer on this note. The note in the scans is the note you will receive. Please judge grade yourself using the scans provided and email if you have any questions.